The northern side of King Khufu’s great pyramid was brimming with media on Monday. TV anchors, journalists, photographers and archaeologists crowded to witness the Japanese scientific team take samples of wooden beams of Khufu’s second solar boat, which is still buried in its original pit. 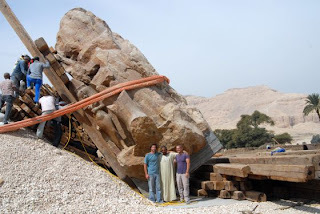 These samples, according to Japanese team leader Sakuji Yoshimura, will undergo lab analyses to determine the most appropriate method to restore and reconstruct such a distinguished ancient Egyptian monument: a boat that carries the sun deity. In the end, the ship will be set on display next to the first one, currently exhibited in a separate museum next to the pyramids. Minister of State for Antiquities Mohamed Ibrahim said that this is the third phase of the restoration of Khufu’s second solar boat. The first was enacted in 1992, when the Japanese government and a Japanese scientific and archaeological team from Waseda University offered a grant of $10 million to unearth, restore, reassemble and put the boat on display. Giza plateau was crowded on Monday as journalists, TV anchors, photographers and antiquities officials flocked to the northern side of King Khufu's Great Pyramid to witness Japanese scientists and archaeologists taking samples from different parts of Khufu's second solar boat, which is still buried in sand after 4,500 years. The boat's wooden beams are to be subjected to laboratory analysis to determine the types of fungi, insects and viruses that are affecting the boat, as well as the amount of deterioration that has taken place, so that an appropriate method can be selected to restore it and place it on display beside King Khufu's first boat, which is on display in a museum especially constructed for it on the plateau. "This is the third phase of the five-year project to restore Khufu's second boat," Minister of State for Antiquities Mohamed Ibrahim who told journalists. The first phase began 20 years ago, when in 1992 a Japanese scientific and archaeological team from Waseda University in collaboration with the Japanese government, offered a grant of $10 million to remove the boat from its original pit, restore and reassemble it and put it on show to the public. The head of parliament's cultural committee, MP Mohamed El-Sawy opened a three-hour discussion on the cultural development in Egypt on El Sawy Culturewheel's nine-year anniversary. The founder of the Culturewheel invited a number of key cultural players to join its conference on The Future of Culture in Egypt on Thursday 23 February. . . . . The second council that should be set up, according to El Husseiny, is a “National Council for Antiquities”. “I fail to understand why the current regime has decided to make antiquities into a ministry on its own when it is part of the Egyptian culture,” she commented, highlighting the importance of making it only a council under the umbrella of the cultural ministry. The “National Council of Heritage” comes as the ministry’s third establishment, El Husseiny added. “The National Council of Heritage should include the national book and documents sector and all modern Egyptian museums such as the music library and that of modern arts, for example,” she explained. Two thousand years ago, using state-of-the-art mummification techniques, a mummy was entombed in the ancient Egyptian city of Thebes. Now, using state-of-the-art High Definition Volume Rendering(R) software from California-based Fovia, Inc. to virtually unwrap the artifact, National Museums Scotland together with a team of radiologists and a forensic pathologist from Edinburgh University has learned a great deal about this wrapped female mummy, who died when she was in her mid-to-late twenties. The mummy, known as the Rhind Mummy, was discovered by Alexander H. Rhind, a 24-year-old Scottish Egyptologist who brought her back to Scotland in 1857. Rhind, a brilliant scholar known for his systematic work, left the contents untouched, which was unusual during the time of "Mummy Mania" when mummy unwrappings were common. He was critical of so-called "archaeologists" whom he claimed indulged in little more than looting by unwrapping mummies, as it destroyed the carefully preserved relics. Not much text, but some great pictures. Moving is never easy, and moving is especially difficult when you own a 327-ton Egyptian obelisk and you want it shifted 275 yards to sit right in front of the Vatican. Such was the task assigned to Italian engineer Domenico Fontana in 1586 and detailed in this illustration from Joan Blaeu’s Theatrum Italiae (see a high-res version here). Enlisting some 900 men and 75 horses, it took Fontana a year to move the 83-foot obelisk. An exciting new project exploring how people in the past viewed the geography of the ancient world, has been backed by $50,000 grant from Google, Inc. via its Digital Humanities Awards Program. Google Ancient Places (GAP) is developing a Web application which allows users to choose a classical text or book (from between 500BC – 500AD) and then search for references to ancient places within it, presenting the results in a user-friendly interface. 2012 is turning out to be the year of Amenhotep III. In addition to our work at his jubilee palace-city at Malqata, excavations and restoration projects are going on in the king’s mortuary temple, his tomb in the West Valley of the Kings, and at the tomb of his Steward, Nefersekheru who was probably in charge of all the goings-on at Malqata. The walls of Amenhotep’s immense mortuary temple disappeared long ago, but what visitors to Egypt know as the Colossi of Memnon, are, in fact, two seated statues of the king that originally flanked the entrance to this temple. At over 700 meters in length (more than 2200 feet) this was the largest single temple ever built in Egypt (Karnak is, of course, much larger, but it consists of several temple buildings, and the main temple was added to over some 2000 years). Much of the stone of Amenhotep’s mortuary temple was used later for other building projects, and the remains of the temple were eventually covered by a deep deposit of mud from the Nile’s annual inundation. By the 20th Century, little remained above ground save for the two colossi. I don't advertise tours, but this one is organized by the Friends of the Petrie Museum of Egyptian Archaeology to raise funds for the Amara Project (under the directorship of Professor Barry Kemp) and the Petrie Museum. Th tour, presented by Lucia Gahlin and accompanied by Barry Kemp, represents a superb way of raising funds for excavations and conservation work whilst enabling the public to experience Amarna through the eyes of those who know it so well. The Friends of the Petrie Museum invite you to join a very special fund-raising tour to Egypt, conceived and accompanied by Professor Barry Kemp. This 14-day tour is In the Footsteps of Napoleon’s Savants and will take place 21 September - 4 October 2012. Site visits the length of Egypt will include 3 'special openings'. Barry Kemp's lectures will explain how the original expedition and its corps of savants operated, and the condition of Egypt and its sites at that time. This tour is taking place to raise funds for the Amarna Trust and the Petrie Museum of Egyptian Archaeology. The new exhibition devoted to ancient Egypt at Leeds City Museum enjoyed a stunning first week with almost 20,000 people flocking to see it. The touring exhibition entitled ‘Pharaoh: King of Egypt' showcasing over 130 objects from the British Museum collection attracted almost four thousands visitors in its opening weekend before rising to 17,000 by the end of the first week. Those figures are the highest first-week numbers of any exhibition held at the museum off Millennium Square in its history and second-only to the official opening of the visitor attraction off Millennium Square itself in September 2008. As a measure of the phenomenal interest in the new exhibition, which is free to enter and is the first of its kind to be on display in the central Leeds Arena, the visitors numbers were up by 63 per cent compared to the corresponding half-term week last year. Two of the most significant objects in Norwich Castle’s collection will be on display at a study day which will explore the way the Ancient Egyptians dealt with their dead. The event will detail the latest research into the shroud of Ipu - a rare shroud which was recently unravelled at the British Museum after being in storage at the castle since the 1920s. Edition 3 of the Journal section and Edition 4 of the Magazine are now available. There's a real mixture of topics in this edition, and as usual we thank our great authors and proof readers for all their hard work. Welcome to our latest editions of the Journal and Magazine sections. There is a great mixture of topics, which we hope will provide something for everyone. In the Journal section Kate Phizackerley has brought together the results of two excavations in the tomb of Horemheb in the Valley of the Kings, separated by nearly a century, to assess the combined discoveries of the tomb’s contents. Given the extent to which the tomb was robbed, the article reveals a surprisingly elaborate inventory. Etienne Vande Walle has contributed an article about the decoration and titles in the Old Kingdom tomb of Mereruka in Saqqara (available in both French and English). 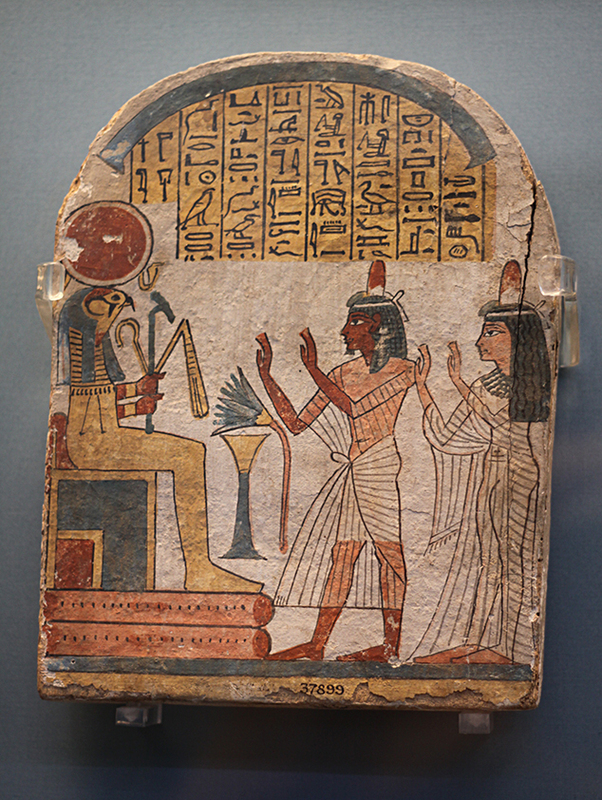 Brian Alm continues his excellent series on Ancient Egyptian religion with two articles. His first article, part 4 of the series, looks at Ancient Egyptian mortuary traditions, whilst the accompanying article focuses on the judgement scene from the New Kingdom Book of the Dead. Following his introductory piece in Edition 4, Howard Middleton-Jones has written an article exploring early Coptic church architecture and comparing them with Pharaonic temple architecture. Garry Beuk, who wrote an article in support of Giovanni Belzoni in Edition 2 has contributed the first part of his exploration of the ups and downs of Arthur Weigall’s fascinating career. From Porin Šćukanec Rezniček we have a survey of the mummies on display in the Archaeological Museum of Zagreb in Croatia. Barbara O’Neill has done a considerable amount of research into the different types of Egyptology course available in the UK for those who want to explore the options for flexible learning and in this article she talks about the frustrations of finding an appropriate course, and has collated her findings in an invaluable table. Finally Andrea Byrnes has written an article, divided into two parts, about the early Third Intermediate Period, to put the recent discovery of the new 22nd Dynasty burial in the Valley of the Kings into context. In the Magazine Reviews section, we have a review of Professor Geoffrey Martin’s excellent lecture about the re-excavation of the tomb of Horemheb in the Valley of the Kings, and a review of Joyce Tyldesley’s book ‘Judgement of the Pharaohs’. In our In Brief and the Photo Album sections several new items have been added since the last edition. We sincerely hope that you enjoy the latest editions. Do feel free to comment on any of the articles – our authors seriously appreciate the feedback that readers provide. As usual, we are looking for more writers for the Journal, Magazine and In Brief, and more photographs for our Photo Albums. Don’t forget that you do not have to be an experienced writer to contribute. If you have good material we can help you to put it in order and make it into an article. Do get in touch. Among the manifold treasures of Tutankhamen's tomb, "the only thing missing", as Joyce Tyldesley notes in her new book, "was a library". The boy-king need not have worried: Egyptologists and others have more than made up for that deficiency in the 90 years since the discovery of the pharaoh's gilded sepulchre in the Valley of the Kings. A quick search for "Tutankhamen" in my local library catalogue reveals no fewer than 115 titles. One might be tempted to ask "Do we really need another book?" By writing one, Tyldesley succumbs to one of the most pernicious of Tutankhamen's curses: in her own words, "the fixation that the general public, thoroughly egged on by the media, has developed with the king at the expense of the rest of Egypt's long history". His celebrity may be illogical, but it is irresistible. Perhaps in an attempt to distance itself from "Tut-mania", Tyldesley's book underwent a subtle re-positioning between press release and publication. Its original, stirring subtitle, "The Development of a Legend", was amended to the anodyne "The Developing History of an Egyptian King". But this merely illustrates another of the boy-king's curses: as Tydesley remarks wryly, "writing about Tutankhamen may be interpreted as a venal attempt to make money, which, in the world of academia, has not always been seen as a good thing". On that page Aidan Dodson has announced that he has a new book on the Third Intermediate / Late Period, due sometime after mid March: Afterglow of Empire: Egypt from the Fall of the New Kingdom to the Saite Renaissance. His comments on the above Facebook page suggest that he will be challenging some of the existing views on the subject. 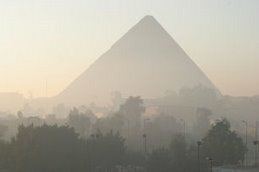 Thanks to Jane's Luxor News blog for the link to the above page, which has the following summary. The Temple of Tausret summarizes the University of Arizona Egyptian Expedition’s excavation of the monument built by Queen Tausret, one of the few women to rule ancient Egypt as pharaoh in all the thousands of years of Egyptian history. This project, conducted between 2004-2011, not only demonstrated that the temple site was only partially excavated in the nineteenth century by the great British archaeologist, Sir William Matthew Flinders Petrie, but also that the belief that the temple was unfinished in ancient times is unfounded. The book looks at the often surprising evidence the Arizona excavations have recovered regarding both the history of the temple and the reign of this little known female pharaoh. Individual chapters cover all aspects of the excavation, as well as the artifacts, pottery, burials, human remains, and inscriptions discovered. The book includes over one hundred illustrations and a CD ROM with every map, plan and photograph from the book, allowing the reader to view the illustrations at a much larger size and all in full color. In 1922, the University of Oxford conferred an honorary degree on James Henry Breasted, who was at the height of his fame as an Egyptologist and historian of the ancient world. As he listened to the Latin oration, the great scholar's mind went back to his days as a boy in Rockford, Ill., barefoot and dusty, watching the local blacksmith shoe his father's only horse. Sooner or later, he felt, somebody would be bound to find him out as an impostor—someone who had risen beyond his merits. We know this because he was not ashamed to record these thoughts in his diary. The origins of James Henry Breasted (1865-1935) were certainly humble. His small-town background was staunchly Congregationalist, and his family encouraged him toward the ministry. His early training was in pharmacy, but an increasing awareness of apparent contradictions in the biblical narrative began to trouble his faith. It also impelled him to turn to Egypt and Mesopotamia, the civilizations that lay behind much of the world of the Old Testament. There was no institution in the United States where Breasted could study this sort of ancient history, Jeffrey Abt notes in "American Egyptologist," his authoritative account of Breasted's varied life. A few decades ago, a glance at an ancient medical text alerted Dr. Gonzalo M. Sanchez to something he found fascinating. Medical professionals, he discovered, had been scrutinizing patients and drawing well-reasoned conclusions about them for a long, long time. The text he saw is a revered Egyptian treatise on trauma from about the 17th century B.C. — and much of its content might be even older than that. "I was blown away," he said. "It was telling me exactly the same thing to look for that I was going down to the Bellevue Hospital Emergency Room and seeing." That was in 1965, when Sanchez was in his first year of neurosurgical training at the New York University Medical Center. It began an odyssey that would lead Sanchez to become part of that ancient medical treatise's long and complex story. By this summer, a new translation of the treatise by Sanchez and Edmund S. Meltzer is scheduled for publication with Lockwood Press. The work is called "The Edwin Smith Papyrus: Updated Translation of the Trauma Treatise and Modern Medical Commentaries." This is the publication of the Theban tomb chapel of the 'servant of Amun' Userhat. The chapel belongs to the smallest in the Theban necropolis but is decorated with paintings of highest quality, many of them today badly damaged. The volume includes old archive photographs and drawings by S. Schott and Davies. Together with new drawings and photographs they provide a full picture of a small Theban tomb chapel datable to the reign of Thutmosis IV. March 2012, Volume 41, Issue 1. A Different Configuration for the Quarter-Rudders on the Khufu I Vessel (c.2566 BC), and Egyptian Methods of Mounting Quarter-Rudders and Oars in the 4th and 5th Dynasties. By Samuel Mark. A review of the Khufu I vessel (c.2566 BC) and contemporary Egyptian iconography (c.2613–2345 BC) suggest this vessel was originally fitted with six pairs of quarter-rudders, instead of one pair. Furthermore, quarter-rudders may have been mounted on knob-shaped thole-pins, instead of crossbeams. The iconography also suggests that each quarter-rudder was fitted with a loom-line and specialized grommet, and rowers may have used a similar system to mount their oars. Finally, a recently published depiction of Sahure sailing a boat may show an anchor secured on the stern deck. Archaeologists on Monday began restoration on a 4,500-year-old wooden boat found next to the pyramids, one of Egypt’s main tourist attractions. The boat is one of two that were buried next to the Pharaoh Khufu, spokesmen for a joint Egyptian-Japanese team of archeologists said. The boats are believed to have been intended to carry pharaohs into the afterlife. Khufu, also known as Cheops, is credited with building the Great Pyramid of Giza, the largest of the pyramids. Khufu, son of Snefru, was the second ruler of the 4th Dynasty around 2680 B.C. and ruled Egypt for 23 years. Both boats, made from Lebanese cedar and Egyptian acacia trees, were originally discovered in 1954. One of the boats is on display at a museum near the pyramids. The second boat, which is now undergoing the restoration, remained buried. It is thought to be smaller than its sister ship, which is about 140 feet (43 meters) long. The head of Egypt’s Supreme Council of Antiquities, Mustafa Amin, said Egyptologists began taking samples of the wood for restoration on Monday. Dr. Mostafa Amin said that the team would collect samples of the boat’s wooden beams for analysis in Egypt and Japan in order to draw up accurate plans for the boat's restoration in situ. I've been enjoying this dig diary and will miss it. Work on site finished yesterday, with final recording, photography and then the logistics of getting all our equipment back by boat to the expedition house after sunset. Some of our workmen, experienced in building mudbrick architecture on Ernetta island, constructed new walls along the ancient walls of house E13.7, to preserve the painted plaster surface from wind erosion over the coming months. Our first full day in the field was a great relief to us after our work was cut short last season. It is great to be back in Egypt and Luxor where everyone is as hospitable as ever. It’s a great time to visit the city and all the sites! We have started a long Electrical Resistivity Tomography profile from the edge of the West Bank going into the floodplain along a dirt track just south of the Ramesseum. The tea was flowing from the villagers. There’s nothing glamorous about working in Donkey dung! But what could be better than the first pylon of the Ramesseum as your back drop. The new Crocodile Museum stands on top of a 15-metre hillock on the doorstep of the Ptolemaic temple on the east bank of the Nile at Kom Ombo, where the ancient Egyptians worshipped the crocodile-headed Sobek, their god of fertility. The cult of Sobek as a crocodile centred on the ancients' dependence on the River Nile. People who worked or travelled on the Nile hoped that if they prayed to Sobek, the Nile crocodile god would protect them from attack by crocodiles. "Sometimes the ferocity of a crocodile was seen in a positive light, and Sobek in these circumstances was considered the army's patron, as a representation of strength and power," Mohamed El-Biali, director of Aswan antiquities, told Al-Ahram Weekly. Why did ancient Egyptians worship the crocodile? To answer this question one must examine the physical attributes, lifestyle, and feeding patterns of this awesome beast. The African Nile crocodile, or crocodylus niloticus, is a carnivore reptile that can grow six meters in length. It spends most of the day lingering on the shores, spends most of the night underwater, and likes to hunt at the first light of dawn. There is a stealthy air about crocodiles. They move quietly and do not emit any sound, but if attacked or injured their shrieks can be utterly terrifying. The crocodile's method of feeding is curious. When it catches a prey, it holds the prey in its jaws and dives long enough to drown it. Then it buries it whole in a shallow spot and leaves it to putrefy, as it prefers to consume decomposed flesh rather than fresh one. In ancient Egyptian vernacular, the word for crocodile (minus vowels) was M-S-H, possibly the origin of the current Arab word temsah. In religious texts, the crocodile was represented as Sobek, a deity associated with fertility. The Ptolemies worshipped the crocodile as Sokhos, a play on Sobek. The governor of Aswan has decided to go ahead with the annual celebration to commemorate the biannual solar phenomenon at the Great Temple of Abu Simbel despite Egypt’s current security concerns and mourning over the deaths at Port Said Stadium earlier this month. A smaller, symbolic celebration will be held inside the Great Temple, located south of Aswan, to send a positive message to potential tourists. Nasser has had a standing interest in Egyptology and is an avid enthusiast and scholar versed in the philosophical and psychological heritage of ancient Egyptians. She's written various books on the subject, including a 40-part illustrated series for children on ancient Egypt, in an attempt to revive Egyptians’ interest in their heritage, especially the much-ignored rich intellectual heritage left by the ancient Egyptians. Nasser wants to go beyond the Pyramids and the tombs and dig deeper into their ideologies and philosophies. But 10 years ago, she decided it wasn’t enough to just write about it; so she placed all her eggs in one basket and literally put in all her funds into financing an eco cultural village in Minya.. . . . But this isn’t your average eco-lodge in a no man’s land. Nasser is hoping the place will be “a beacon of light” for the surrounding community to rekindle Egyptians’ love for their heritage and promote the concept of responsible tourism for many sites to come. While the layman in Fayoum would probably welcome the idea of a project bringing in income and job opportunity to the quiet governorate, experts are far less eager. Fayoum is Egypt’s oldest city and is located 130 kilometers southwest of Cairo. It is also home to the 1385-square-kilometer Lake Qarun. The North of the Lake Qarun area has been a protected area since the 1980s, and its boundaries have expanded gradually to include Gebel Qattrani. 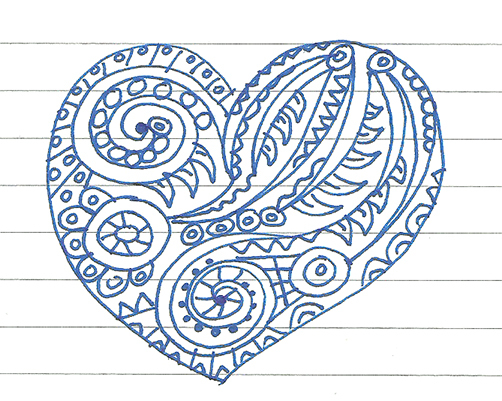 On Saturday, I met up with the Young Archaeologists Club (YAC) to do a spot of hieroglyph translation. For the session, I chose this short text on an object currently displayed in the Museum’s Discovery Centre. The members of YAC, mostly aged around 10, were incredibly knowledgable and – with only a little help – cracked the code presented by this small stela. Rather than simply ‘make up’ hieroglyphic words using a phonetic alphabet, the chance to read a real text from ancient Egypt – and work out what the object was used for – was one the group really enjoyed. This small limestone stela is one of a class of objects called ‘ear stelae’, common in the New Kingdom (c. 1550-1069 BC), and records the name of a deity to whom it is dedicated as well as the man who made or comissioned it. It shows a pair of ears, between which reads: “Ptah-hearer-of-prayers (ptH sDm-nH)”. Roughly, a team from the university of Jaen working in Aswan at the site of Qubbet el-Hawa have found 20 mummies from different periods as well as a large amount of other archaeological material including a wooden sarcophagus. This is the fourth season of the Jaen excavations focusing on a large tomb constructed by a provincial governor of the 12th Dynasty. 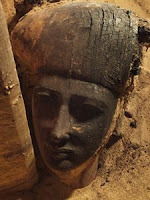 The newly discovered wooden coffin is a later, intrusive addition to the tomb. Excavations have been using new technologies including RTI (Reflectance Transformation Imaging), and 3D scanning of walls, to assist with greater accuracy in the reading of the tomb's hieroglyphs. In the next few days the investigations will reach the oldest levels of the tomb, where there is clear evidence for more chambers / rooms are "perhaps intact." Two smaller tombs have also been discovered. The article goes on to describe the project and its scope. You can follow the ongoing work of the Qubbet el-Hawa project at their dig diary (in Spanish) at (www.qubbetelhawa.es), where there are some great images even if you don't speak the language. The two colossi of Memnon are now three! Thanks to Amigos de la Egiptologia for the link to this story. See the full sized version of the lovely photo on the El Pais website. If you look carefully, you can see Amenhotep III's wife standing, in comparatively miniature form, to the right of his legs. Roughly, the two Colossi of Memnon that stand at the entrance to the ruined mortuary temple of Amenhotep III (on the west bank of the Nile at Luxor) now have a brother. The new statue was found100 metres behind the two famous statues and originally formed part of the monumental decoration of the ruined temple. It collapsed with its partner (the colossi of the building were built in pairs) during an earthquake at around 1200BC. The enormous statue, the northern one of the second pair, is a little smaller than its famous neighbours at 18m tall. Like the so-called statues of Memnon, it represents Amenhotep III. Following its fall it remained broken on the ground and eventually became covered with water and mud as the water table rose. It was found in 2002 and removed to solid ground where restoration work was carried out and the pedestal was reinforced with concrete. Last Monday the delicate task of raising the colossus into an upright position was completed. At the moment the team are still adding fragments to the statue, including the king's right foot and some blocks of the pedestal. The official opening ceremony will take place on March 1st. A los dos colosos de Memnon, uno de los iconos más emblemáticos y eternos del Egipto faraónico, que reciben al viajero a la entrada de la necrópolis de Luxor, en la orilla oeste del Nilo, les ha salido un hermano. Un tercer coloso se yergue desde esta semana cien metros por detrás de las dos famosas estatuas, consideradas epítome de las maravillas y misterios egipcios y admiradas ya por los primeros turistas griegos y romanos. Esta tercera estatua, también de cuarcita, formaba parte asimismo de la decoración monumental original del arrasado templo funerario de Amenofis III y cayó derrumbada, con su pareja (los colosos del edificio iban de dos en dos), durante un terremoto alrededor del 1.200 antes de Cristo. At an international press conference held on Egypt's Giza Plateau next Monday, Egyptian Minister of State for Antiquities Mohamed Ibrahim is expected to announce the launch of the second phase of the Khufu solar boat restoration project, which is being carried out in collaboration with a Japanese archaeological team from Wasida University. Ibrahim told Ahram Online that the team would collect samples of the boat’s wooden beams for analysis on Monday in order to draw up accurate plans for the boat's restoration in a special museum located on the plateau. The first phase of the project, carried out two years ago, assessed the area surrounding the second boat pit with the use of topographical radar surveys. A large hangar has since been built over the second pit, with a smaller hangar erected inside to cover the top of the boat itself. The hangars were especially designed to protect the wooden remains during the project's analysis and treatment phases. With two lovely photographs of the blue-painted pottery. In the first days we were on the site, before we hired any workmen, I stood between several pairs of mounds and eventually chose what I thought was the most likely location. I’m still fairly certain that I have the right pair of mounds – but, after four days, we haven’t found any walls of the “narrow house.” All we’ve found so far are a jumble of mud bricks and some lovely fragments of the distinctive blue-painted pottery that comes from this period – including two joining pieces of an open-mouthed Hathor jar like one we have at the Metropolitan Museum. Pottery is something Malqata has by the ton – though most of it isn’t decorated. The imposing appearance of the doorway is now more evident, standing 2.35m tall, with a passageway of 88cm wide by 1.75m tall. In terms of scale, many of our field team would have to stoop to walk through the door. The lintel is made from an unusually fine sandstone – perhaps from Sai island – whereas the doorjambs are of the poor quality sandstone we more often encounter. This doorway would have been set into the mudbrick wall. The jambs are not inscribed – any inscription would have been into a layer of white plaster, now largely disappeared. On the lintel, the red- and yellow-painted hieroglyphs invoke the god Amun-Ra and Horus Lord of Ta-sety, and also refer to king Tuthmosis III. Interestingly, this door was not the main house door, but rather framed the entrance to the central reception room, with a low bench against its back wall. As this was the very first lecture about the newly discovered tomb KV64 the room was completely full but Suzanne teased us just a little bit by putting it in context with all the work they have done. The team are working on the undecorated non royal tombs in the wadi of KV34, originally 10 now 11 with KV64. The focal point of this valley is the tomb of Tuthmosis III KV34, he was a major pioneer of the entire area. The tombs are starting from the beginning of the wadi to KV33 and going back to the entrance again. (if you look on the Theban Mapping Project you can see the layout). The team first started with KV47 Siptah and the fact it broke in to KV32. It was a building accident that occurred 200 years after KV32 had been created. KV32 is Tija the mother of Tuthmosis IV. The debris in the tomb identified her. Their start point was the Theban Mapping Project http://www.thebanmappingproject.com on that some of their tombs are mapped and some are just indicated as holes filled with debris. However debris can be vital giving clues to the owner. KV29, 31, 40 and 59 are only indicated not mapped. Others like KV26 were mapped but have now been updated with more correct information. More than 2,600 years after the Greeks founded the city of Cyrene in the mountains of northeastern Libya, the ancient gymnasium’s high stone walls still shield athletes from the winter winds as they train among the ruins. Col. Muammar el-Qaddafi disavowed pre-1969 history as colonialist and un-Libyan. Now that he is gone, heritage-conscious Libyans have drafted a plan to preserve the ruins at Cyrene and promote them as a tourist attraction in a rural area where unemployment is high. Abdallah al-Mortdy, a 52-year-old architect, grew up just a few kilometers from Cyrene, but did not study the ruins, now a Unesco World Heritage site, until he left Libya at age 19 to study architecture in Florence. In the years since returning home, however, he says he cannot let two or three days go by without taking a stroll through the remains of the vast colony blanketing the hills and valleys of the Green Mountains. Spanning 7 square kilometers, or 3 square miles, the excavated and restored ruins include a temple to Zeus, a sanctuary to Apollo, a Greek agora and a Roman forum, Byzantine baths, and more than 1,000 rock-cut tombs dotting the countryside. In the 1940s, Italian archaeologists raised many of the walls and columns that had collapsed since an earthquake in the year 365, but about 75 percent of the city lies undisturbed, with bits and pieces poking out of the ground. Bookshelf has reviews by Alice Stevenson (Tine Bagh, Finds from W M F Petrie's excavations in the Ny Carlsberg Glyptotek), Rosalie David (John H Taylor, Egyptian Mummies), John H Taylor (Agathe Legros and Fréderic Payraudeau (eds), Secrets de Momies) and Peter A Clayton (Ivor Noël Hume, Belzoni: The Giant Archaeologists Love to Hate), with an account by Anna Baghiani and John J Taylor of the recent identification of the grave of Sarak Belzoni. Digging Diary has brief reports on recent fieldwork in Egypt, including a note by Susanne Bickel on the recent discovery of KV 64. Exciting new discoveries at the Field Museum are unlocking some mummy mysteries. Last summer, the museum staff wheeled out their mummies into a special mobile X-ray scanner in the parking lot. The scanner revealed some never-before-known details about the mummies and what's really inside those wraps. Some of the mummies have been at the Field Museum for over 50 years, but never have they revealed so much. The scans and mummies are now on display, and for the first time ever, the Field Museum can get into the minutia of the mummies. Some of the mummies come from ancient Egypt and others from Peru. There are men and women, girls and boys, and all of them have a story to tell. Thanks to Owen Jarus for sending me the above link. A wealth of new discoveries, from animal mummies linked to the jackal god and human remains to an enigmatic statue, are revealing the secrets of an ancient holy place in Egypt once known as the "Terrace of the Great God." The mysterious wooden statue may be a representation of Hatshepsut, a female pharaoh who ruled the land 3,500 years ago, the researchers say. She was typically portrayed as a man in statues, but this one, giving a nod to femininity, had a petite waist. The discoveries were made during one field season this past summer by a team led by Mary-Ann Pouls Wegner, director of the excavation and a professor at the University of Toronto. The findings offer insight into Abydos, a site that was considered a holy place, Pouls Wegner said at a recent meeting of the Society for the Study of Egyptian Antiquities in Toronto, Canada. On behalf of the International Society for Nubian Studies and its staff, please accept our best wishes for the New Year 2012. We would have preferred doing so under more auspicious circumstances. Indeed, the government of Sudan has maintained its decision to build a dam at Kajbar and, amongst the various hydro-electric projects currently underway, this is undeniably the project with the most disastrous consequences for the archaeological and historic heritage of the Sudan. As the President of the Society, I was asked to forward the attached message received from the National Corporation for Antiquities and Museums (NCAM); an appeal of our Sudanese colleagues for a salvage and study campaign before the construction of two dams, the first between Kajbar and the Third Cataract (Mahas country); and the second at Shereiq (Fifth Cataract). Following the salvage operations required by the construction of the Fourth Cataract dam, the present communication is a new appeal by the National Corporation for Antiquities and Museums to the international community for the documentation, study and preservation where possible, within a time frame that remains unknown. The letter from Salah Mohamed Ahmed, Director of the Excavations and Fieldwork at NCAM already presents certain measures that will be taken. He also mentions the generous offer made by our colleagues at the British Museum to host a first information and consultation meeting on 15 May 2012. I would be grateful if you could let us know whether you will be attending. advance for your wide distribution of this message. Every year, artefacts and antiquities of cultural significance are looted and smuggled around the world, often turning up in private collections or even museums. Last year, a number of objects were stolen from the Egyptian Museum in Cairo during the protests in Tahrir Square. Now, a team at Glasgow University has been awarded a £1m grant from the European Research Council to study the illegal trade in antiquities. Researchers will spend the next four years gathering and analysing data on the movements and motives of traffickers, the types of activities involved, such as illegal excavation; transit and purchase; and pricing structures. The aim is to develop new approaches to regulate the international trade of cultural goods and help policymakers better define laws to fight criminal activities. Thanks to Chuck Jones's AWOL for this link. Dates of creation: ca.1880 onwards. Extent: 800 boxes of papers, 50,000 photographs, 136 cinefilms, 1,000 maps, museum objects and a large amount of related printed material. The Sudan Archive was founded in 1957, the year after Sudanese independence, to collect and preserve the papers of administrators from the Sudan Political Service, missionaries, soldiers, business men, doctors, agriculturalists, teachers and others who had served or lived in the Sudan during the Anglo-Egyptian Condominium. It comprises over 330 individual collections of official, semi-official and private papers of British men and women. Each collection is named after the donor who is usually the creator of the records. The collections vary in size from one file to 180 boxes. All levels of colonial society are represented, from Assistant District Commissioner to Governor-General and senior officers of government, as well as from the technical and medical services, the army and the church. The core period covered is 1898-1955, but there is a significant amount of Mahdist material as well as papers relating to the military campaigns of the 1880s and 1890s, while in recent years the scope of the Archive has extended to the period after independence and now contains material up to the present day. Moreover, as officials were frequently seconded or posted to neighbouring countries, or simply passed through them on leave, the Archive also holds substantial numbers of papers relating to Egypt, the Arabian Peninsula, Palestine, Transjordan, Syria and African states bordering on the Sudan. In addition to official and personal papers (correspondence, reports and memoranda, trek notes and diaries, letters home and so on), collections may include a variety of records in other formats such as photographic images (prints, lantern slides and 35mm slides), cinefilms from the 1920s to the 1960s, sound recordings, maps, museum objects and a large amount of related printed material. Most of the material is in English, with a small amount in Arabic. The material is open for consultation, with the exception of a small number of files containing personal or sensitive material, which have been closed for a specified period. Permission to make any published use of material from the collection must be sought in advance from the Sub-Librarian, Special Collections (e-mail PG.Library@durham.ac.uk) and, where appropriate, from the copyright owner. The Library will assist where possible with identifying copyright owners, but responsibility for ensuring copyright clearance rests with the user of the material. Crowdsourcing a solution to the illicit antiquities trade? Google might, on the other hand, assist in a different mobilization of crowd-policing, by creating in-country means for locals to report looting in progress to their antiquities police. The publication, ‘Heritage in Health: A guide to using museum collections in hospitals and other healthcare settings’, has just been launched online by UCL Museums & Collections. This illustrated 24-page guide offers thoughtful and practical solutions for taking museum objects out to adult audiences within healthcare settings and draws upon findings from the UCL and UCLH three year, ground-breaking research project, ‘Heritage in Hospitals’. The project, funded by the Arts and Humanities Research Council (AHRC) was carried out in conjunction with University College London Hospitals Arts programme. THE work of a legendary archaeologist is being celebrated in an Egyptian exhibition in Blackburn and Burnley this year. John Garstang pioneered modern techniques of photographing grave goods at the turn of the 20th Century. Born in Strawberry Bank, Blackburn in 1876, he attended Blackburn Grammar School and Oxford University before starting work for the famous Egyptologist Flinders Petrie in 1899. Petrie pioneered many modern archaeological techniques and was the first to understand how the pyramids were constructed. Garstang later became an independent excavator, funded by groups of wealthy individuals who were rewarded with finds brought back from Egypt. Some of his finds ended up in museums across Lancashire, including Blackburn Museum and Art Gallery and Towneley Hall Museum and Art Gallery in Burnley. Modern day Egyptologist Claire Ollet, from Knuzden, has used Garstang’s original photos to reunite many of the items. Saeed Tawfiq, a professor of aesthetics at Cairo University, was appointed the new secretary general of the Supreme Council of Culture on Thursday, after the resignation of Camellia Sobhy. Sobhy, the first woman to head the council, resigned after two months for unknown reasons. Tawfiq was one of the candidates competing against Sobhy during the elections for the position. As Tawfiq takes up his new role this week, he is faced with a number of issues at the council. The Supreme Council of Culture Youth recently issued a statement condemning what they described as the “totalitarian management” of the council, and asking for real reforms. They have threatened to go on strike and hold a sit-in starting Tuesday 14 February. Among their demands are more competitive salaries for employees and official contracts for staff who have worked on temporary contracts for years. These demands have been raised repeatedly since April 2011. 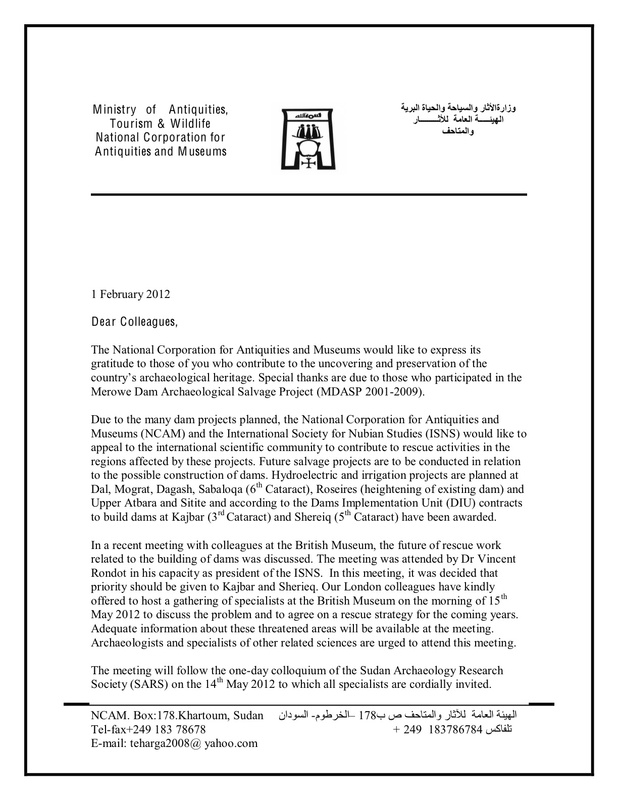 The International Council of Museums (ICOM) announces the publication, at the National Museum of Egyptian Civilisation in Cairo (NMEC), on 6 February 2012 at 10 a.m., of a new Emergency Red List: the Emergency Red List of Egyptian Cultural Objects at Risk. ICOM Director General, Julien Anfruns, officially presented the Emergency Red List, on this occasion, in the presence of the Director of the NMEC, Dr Mohammed Abdel Fatah. Julien Anfruns had an official meeting after the presentation with the Minister of State for Antiquities, Pr Mohammed Ibrahim Ali. Following six hours of being submerged in drainage water, Al-Muizz Street is back to normal and the distinguished Islamic monuments that line its edges are safe. Yesterday, after the noon prayer, drainage water leaked into the street and almost inundated a large section where the 11th century Qalawun complex is located. The Qalawun complex consists of a mosque, a quranic school, a sabil (water fountain) and a mausoleum. Mohsen Sayed, head of the Islamic Antiquities Department, told Ahram Online that the street was inundated in water as the main sewage tunnel of the street was blocked. “This is not the antiquities' fault,” Sayed said, adding that according to the street’s development project, the Antiquities Department is paying an annual fee to operate a pumping machine that has been installed to prevent the leakage of water into the street and to pump it out if neccessary. Dozens of mostly Egyptian objects from the 4th to 7th centuries AD which had been missing since the end of World War II have been unearthed and returned to a Berlin museum, officials said Monday. The 44 pieces were identified as being part of the Bode Museum's collection of Byzantine art after being stored for decades in two boxes at Leipzig University's Egyptian Museum in eastern Germany. They had been transported to the Soviet Union after World War II and were brought back to Germany in 1958 but got mixed up with objects from Leipzig and ended up there instead. For the last few months the new archive space in no. 4 Doughty Mews has slowly been taking shape. The room in question was formerly the kitchen of Professor Caminos who lived at no. 4 until his death in 1992, and was refurbished in readiness for the storage of archival material in the summer of 2011 (see ‘Refurbishment Commences’). Immediately prior to this the room had been used for the temporary storage of archival material for which no space could be found elsewhere on the premises, most problematically two series of historic photographs which had both been returned to the Society in 2007. The first series, taken during the Society’s work at Tell El-Amarna in the 1920s and 30s had previously been kept in Cambridge where the current Amarna Project was based, but were transferred back to Doughty Mews when the project moved its base to Cairo. The photographs in the second group were taken at the temple of Sety I at Abydos in the 1920s, 30s and 70s (see ‘Amice Calverley, the EES, and the temple of Sety I at Abydos’) and had until recently been kept at the University of Oxford where the decoration in the temple is the subject of ongoing research. Police patrolling Cairo's Citadel area discovered thieves trying to escape from the Al-Refaai mosque with boxes containing four large Islamic lamps. Antiquities Minister Mohamed Ibrahim announced that officers from the Tourism and Antiquities police had caught the thieves red handed as they attempted to leave the mosque through the backyard. The Al-Refaai mosque is located in the square adjacent to the Salaheddin citadel. The mosque was constructed in two phases between 1869 and 1912. It was originally commissioned by Lady Khushiar Hanim, mother of the 19th century Khedive Ismail, to extend and replace the pre-existing mediaeval zawiya (small mosque) of Ahmed Al-Refaai. She founded the mosque in 1869, but construction was stopped in 1880. Construction resumed in 1905 and the mosque was finished in 1911. Egypt security forces said it stopped an antique lamps robbery at the al-Refai mosque in the historic area of the Citadel on Thursday morning. Minister of Antiquities Mohamed Ibrahim said security personal noticed three men carrying heavy bags and trying to flee the area and they stopped them. They found several antique lamps from inside the mosque that the thieves unscrewed in their attempt to steal them and sell them for large amounts of money. Security chased the thieves, forcing them to leave the lamps behind. Campbell Price continues to do an excellent job of making Egyptian objects more accessible to the general public on the Manchester Museum blog. With a photograph of the inscription on the scarab. Visitors sometimes comment that they would like to have access to translations of the hieroglyphic texts that appear on some of our Egyptian and Sudanese objects. We aim to provide these as a digital resource to complement the new Ancient Worlds galleries, and I will post them here as time – and work – allows. On a recent visit to the Museum, a group called Forever Young expressed a particular liking for this text, so it seemed a good place to start. 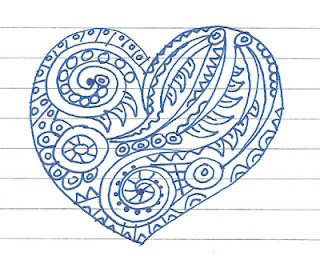 This spell is of a type usually carved on the underside of amulets known as Heart Scarabs. This example dates to the later New Kingdom (c. 1320-1069 BC), and belonged to a scribe named Na-her-hu. This is a shortened version of Spell (or ‘Chapter’) 30B of the Book of the Dead: slightly different versions are sometimes included in papyrus copies of the Book. The Malqata excavation is now underway at Luxor, and a dig diary with plenty of photographs can be found at the above address. While the tombs of the pharaohs from the pyramids of the Old Kingdom to the Valley of the Kings are familiar the world over, the settings in which the kings of ancient Egypt lived and ruled are comparatively little known. One of the two royal cities from Ancient Egyptian times is at Malqata in western Thebes. It was built by the 18th Dynasty pharaoh Amenhotep III, who reigned for thirty-eight or thirty-nine years from about 1390-1352 B.C. Located on the sandy edge of the cultivation at the southern end of the Theban necropolis, the site today is marked only by low mud brick ruins and the great mounds that border the huge harbor known as the Birket Habu, also built by Amenhotep III. One of the most significant urban sites surviving from ancient Egypt, Malqata was established by Amenhotep III in the 30th year of his reign (about 1360 B.C.) when he celebrated his first heb-sed, a royal jubilee intended in part to rejuvinate the king. The great palace city was constructed to the south of the large funerary temple the king was building for himself. In all, Amenhotep celebrated three sed-festivals: in year 30, year 34, and year 37 of his reign. After his death , the palace city was largely abandonned. One year after the uprising in Egypt, the mission of archaeologists and Egyptologists of the University of Barcelona, working in collaboration with the Catalan Egyptology Society, returns to Cairo to resume its excavation work in Oxirrinco. The news is reported by mission director and Egyptology professor Josep Padro, quoted by La Vanguardia. The goal of the Spanish mission, entering its 20th year, is to ''continue excavating the remains of a large Greek-Roman temple which, because of its position and texts found on papyrus scrolls, could be the Serapeum, dedicated to the god Serapis'', Pardo explains. If you speak Spanish there is a lot of great information on this site about Qubbet el-hawa in Aswan, including the dig diary at the above page. The English/American icon goes to a page where they promise an English language summary in the near future. After completion of the cleaning and disinfecting work required because of a sewage pipe in the site, Sultan Qalawun complex is re-opened. The complex located in Gamalia district of Islamic Cairo and consents of a mosque, school and hospital (dated to 1294 A.D). According to Mohsen Said (Head of the Islamic and Coptic department) the buildings were not affected by the sewage problem. Resting in apparent tranquility at uptown's Discovery Place are more than 40 mummies from around the world. Charlotte is one of only a few American destinations for this major exhibit, and the opportunity to see so diverse an array of mummies - human and animal, Egyptian and South American - is remarkable. The fascination that we feel for mummies, relics of the past that seem eerily in the moment, is not hard to understand, and it's certainly not a new phenomenon. Now a timely coincidence brings a new book tracing our compulsion for Egyptian relics. Ivor Noël Hume's "Belzoni: The Giant Archaeologists Love to Hate" examines the emergence of the Egyptian craze in the early 19th century by looking at one of the main figures in that movement. Hume, an archeologist himself, introduces us to Giovanni Belzoni, an Italian-born English citizen whose name became synonymous with Egyptian treasures. This being Martin Carver (he of Sutton Hoo) it is probably a UK-centric book (I haven't read it yet) but it's an interesting, widely relevant topic. ‘Archaeology is for people’ is the theme of this book. Split between the academic and commercial sectors, archaeological investigation is also deeply embedded in the needs of local communities, making it simultaneously an art, science and social science. Such a multi-disciplinary discipline needs special methods and creative freedom, not repetitive responses. Carver argues that commercial procedures and academic theory are both suffocating creativity in fieldwork. He’d like to see us bring much more diversity and technical ingenuity to every opportunity, and maintains this is more a matter of getting ourselves free of dogma than needing more time and money. This has many implications for the way archaeology is designed and procured – moving archaeologists up the professional ladder from builder to architect, with contracts based on quality of design, not the price. Over the next three months, visitors to Joslyn Art Museum can get a taste of its allure during the "To Live Forever: Egyptian Treasures From the Brooklyn Museum" exhibition, which opens Saturday. Put together by Dr. Edward Bleiberg, curator of Egyptian, classical and ancient near Eastern art for the Brooklyn Museum, the exhibit spans thousands of years, from prehistoric times to the Roman era. Bleiberg thinks it's Egypt's history that speaks to us. "This is one of the oldest documented places on earth," he said in a phone interview. "We can see the origins as far back as 7,000 years. It speaks to our fascination of where it all began." Another draw is the civilization's mystery, said Toby Jurovics, Joslyn's chief curator and Holland curator of American Western Art. "It's still mysterious to us, which is something you don't have with Greece or Rome." February 7 - September 2, 2012, Oriental Institute, Chicago. Picturing the Past presents paintings, architectural reconstructions, facsimiles, casts, models, photographs, and computer-aided reconstructions that show how the architecture, sites, and artifacts of the ancient Middle East have been documented. The show also examines how the publication of those images have shaped our perception of the ancient world, and how some of the more "imaginary" reconstructions have obscured our real understanding of the past. The exhibit also shows how features of the ancient Middle East have been presented in different ways for different audiences, in some cases transforming a highly academic image into a widely recognized icon of the past. Among the topics covered are the Oriental Institute's contributions to the documentation of Egyptian monuments through the development of an epigraphic method. James Henry Breasted's notebooks of careful hand copies of hieroglyphic inscriptions and his own camera are shown alongside archival photos of the 1905 expedition to Nubia during which the epigraphic process was invented. The work of the current Epigraphic Survey is shown by a sequence of photos and collation sheets that illustrate the many steps that culminate in the final publication. Visitors to Leeds City Museum will be transported back to ancient Egypt from this weekend as a major new exhibition featuring over 130 stunning historic artefacts goes on display. 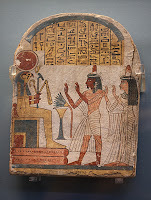 The touring exhibition entitled ‘Pharaoh: King of Egypt' which showcases objects from the British Museum collection opens on Saturday and runs until Sunday 17 June 2012 at the museum off Millennium Square with admission being free. Developed by the British Museum in partnership with the Great North Museum, the exhibition explores the lives of the pharaohs and their role as head of state, chief priest and army commanders through objects and artefacts spanning over 3,000 years of history including stunning palace decorations, sculpture, jewellery and papyri. Themes examined include the realities of ruling a complex society and dealing with issues such as international diplomacy, tomb-robbing, civil war and foreigners on the throne. Among the eye-catching objects on display is a wonderfully-preserved standing wooden tomb guardian representing the figure of Pharaoh Ramses I, who was hugely influential despite a short-lived rule from 1295-1294 BC. The Fascinating Mummies exhibition runs from February 11 to May 27 at the National Museum of Scotland in Edinburgh. There's a nice slideshow of the exhibition aswell. An exhibition guiding visitors through the complex rituals surrounding death and the afterlife in Ancient Egypt opens at the National Museum of Scotland. Fascinating Mummies features hundreds of treasures from two of the world’s top Ancient Egypt collections, some dating back as far as 4000BC. The exhibition, which opens on Saturday, boasts material from the Rijkesmuseum van Oudheden in Leiden, the Netherlands, as well as a selection from National Museum Scotland’s own collection. Dr Gordon Rintoul, director of National Museums Scotland, said: “This is the first major Egyptian exhibition that has been in Edinburgh, indeed Scotland, in three decades. It is the only opportunity to see this wonderful material from the Rijkesmuseum, together with our own material that has previously been unseen. “Both collections sprang from the same source in the early and mid 19th century of people who were intellectually enquiring and outward looking, and collected things from Egypt and took them back to their homeland. Aside from the odd camel driver lounging in the shade, nobody else is around at the pyramids and I am free to explore the world-class, UNESCO-listed heritage site on my own. The Meroë site was built as a royal cemetery for leaders of the Kushite Kingdom between about 300 BC to 300 AD. While experts believe that they can pronounce the Meroitic script correctly because of cross-references with Egyptian names, they still have not been able to translate and understand the language. This ancient culture has been able to successfully guard its mysteries for thousands of years. I set up my tent on the outskirts of the pyramids and flop in the soft sand to marvel at the spectacular colours that only a desert sunset can provide. The setting among the dunes is sub-lime. As dusk slowly turns to night, the full moon and soft celestial light illuminate the silhouette of the pyramids in unbelievable artistic perfection. It hasn't been easy getting to Sudan, but there is no doubt left in my mind that it has been completely worth it. Travel to Sudan definitely presents its challenges. NASA astronaut Nicle Stott has posted a photograph of the Giza pyramids as seen from space. You will probably need to click on the image to expand it on order to see them.